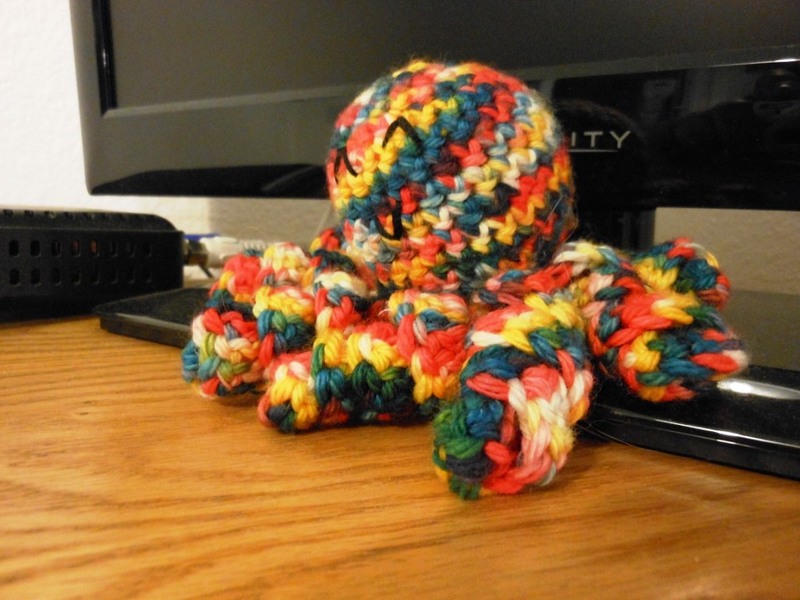 Look at this marvelous octopus my friend K. crocheted for me! I love him! I put him on the TV stand, right in front of the cable box, so he had to get moved a little bit. I think he makes a lovely centerpiece. 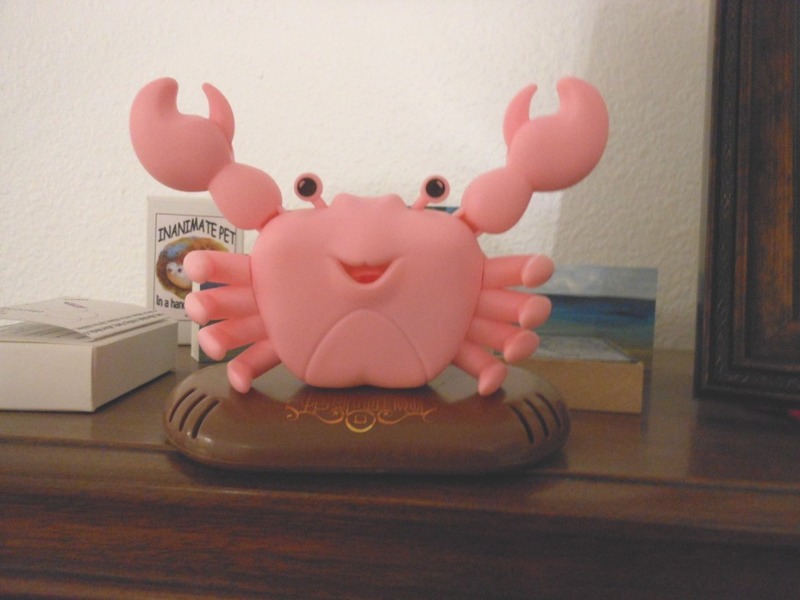 When I saw my friend E. had a pink solar crab, I immediately had to have one. I am pretty sure this is the website I ordered from. It had to come all the way from China. I did order three, so I gave two away to my nieces as birthday gifts. Everyone needs a happy, solar waving crab. His arms wave and his eye stalks go up and down. 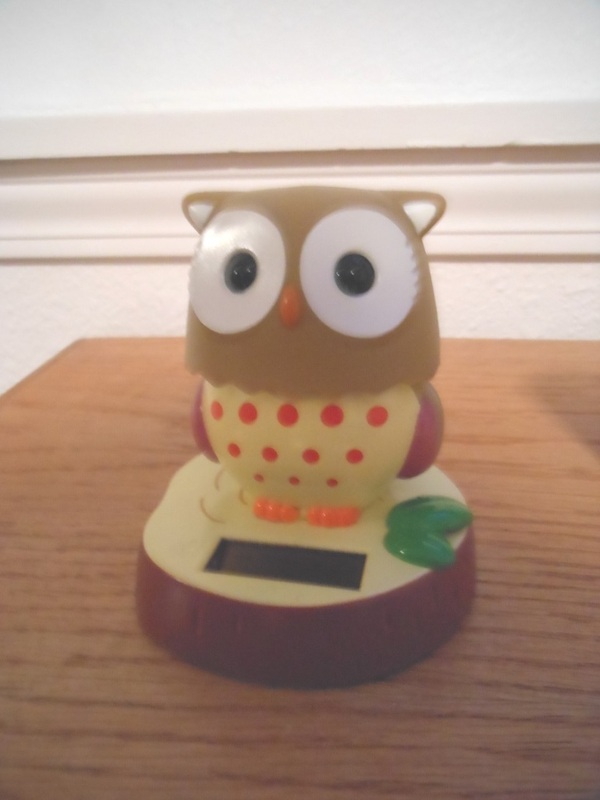 So when I saw the happy head-turning owl, I had to have him too. I found him at Zandbroz in Sioux Falls. His head turns when it is light. But only sporadically in the room light. I am trying to decide which of these to affix to my dashboard. Both seems like it might be a little too much. 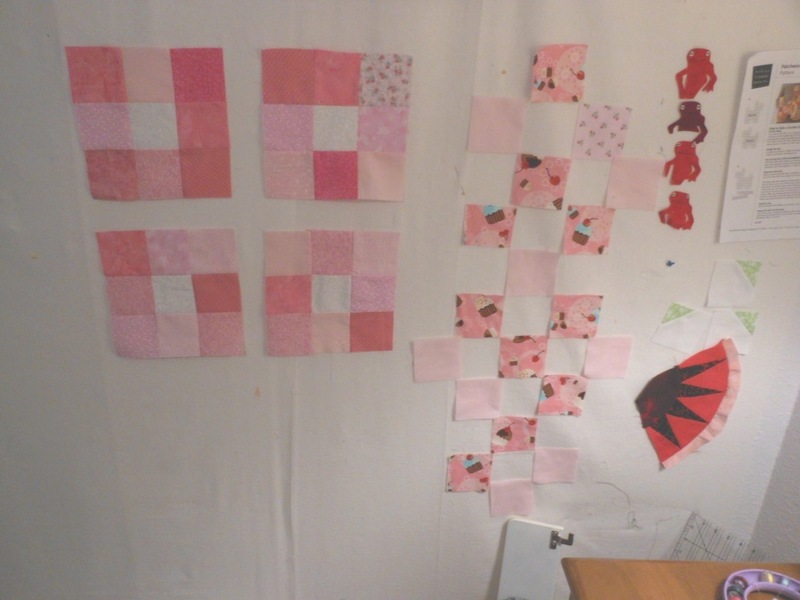 Besides my other projects, I am allowing myself to be randomly distracted by making pink and white quilt blocks. For what? I have no idea. 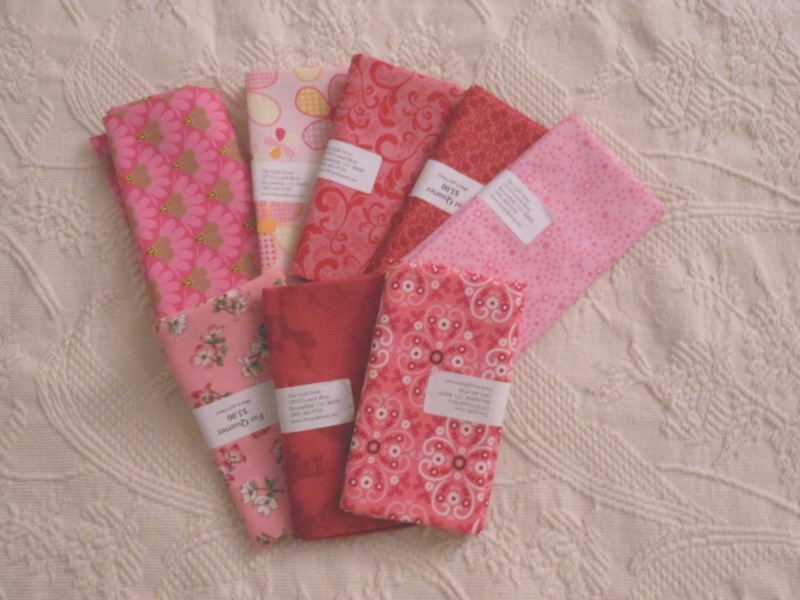 But now I have purchased more pink fabric. Kind of defeats the purpose of being scrappy. This is the new fabric, from The Quilt Store. Luscious, isn’t it? 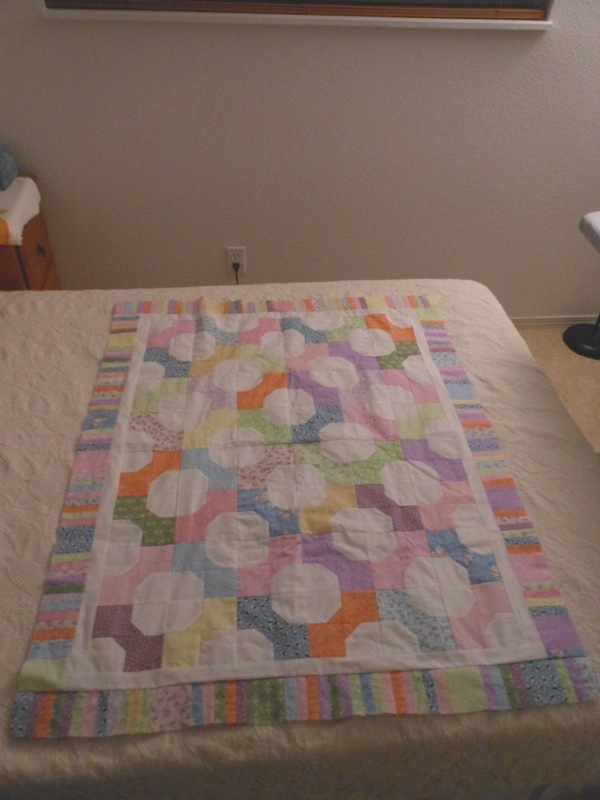 The top for my one niece’s pieced baby quilt is done! Look at that fancy border! Look at all of those little pieces! Looks nifty, but NEVER AGAIN! She is getting a one-of-a-kind. I made this quilt entirely from a pattern in a book, which is kind of unusual for me. Usually I wing it in one way or another, adding or subtracting. This is my mom’s sock – all repaired. After I re-knit the heel incorrectly about 3 times. Apparently I need to knit more socks so I know what I am doing. It had a giant hole in the heel, so I ripped out the whole heel and leg (just a shorty, so no big deal) and re-knit. 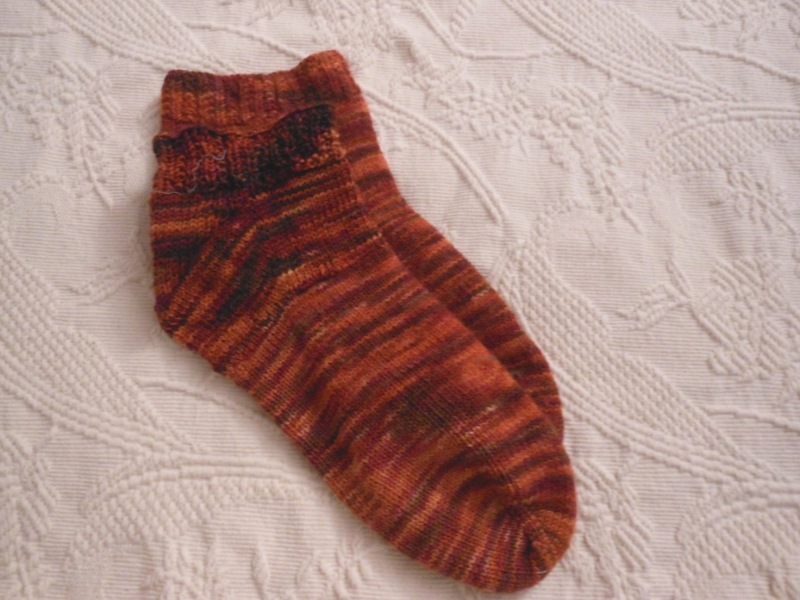 It would have been done in a jiffy if I hadn’t tried to knit a top-down heel on it instead of a toe-up heel. No wonder it wouldn’t work. Then I knit a couple of different toe-up heels, trying to figure out the correct one. OF COURSE it wasn’t one from the book that the pattern was from. That would be WAAAAAY to obvious. You can’t even really tell in the picture where the old yarn starts and the new begins. You can tell in person, but it will be less noticeable after a few washes. I am going to make some more denim potholders, for my Mom this time. She likes owls and mushrooms. It is quite a quest right now to find realistic looking owls and mushrooms, there are a lot of cutesy, cartoony ones, which is not what I wanted. I think this will work. And that is a brief summary of SOME of the projects I am working on right now. Some of them are presents, so they are SECRET. Tune in later to see them. Maybe after Christmas. Happy Thanksgiving, I will be back on Tuesday if not sooner! 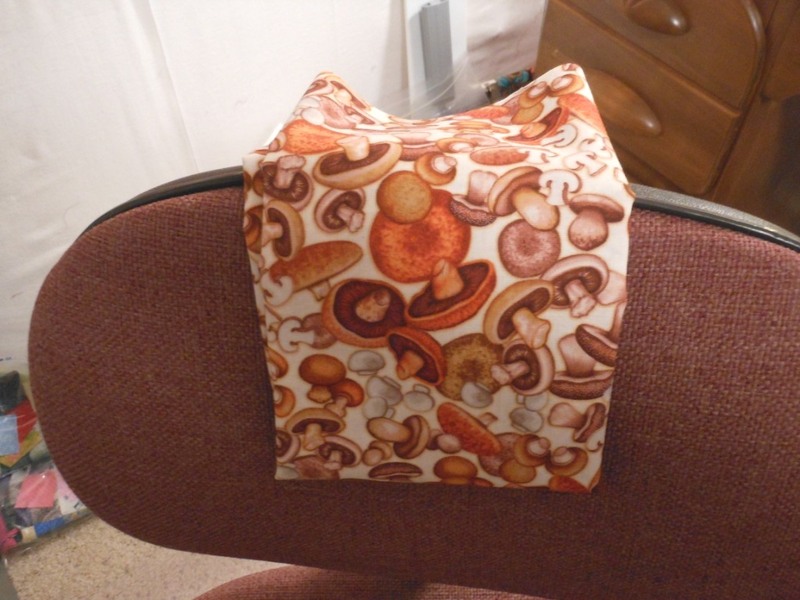 This entry was posted in Can this sock be saved?, Crafting, Crocheting, Knitting, Quilting, Uncategorized and tagged crafting, crochet, fabric, knitting, mushrooms, owls, quilting, solar crab by glenderella. Bookmark the permalink.